Categories: Marketing, Mobile Websites, New Website, and Website Redesign. Tags: How To and Website Content. An eye-catching website design will bring in more visitors to your website. It’s easy, though, to lose sight of the words you use on your web page. Having website content that easily engages your readers will generate interest in your product, establish some interaction and increase online conversions. With so many merchants competing to get the attention of consumers online, you need to make certain that your awesome business website design is complemented by high quality web content that will capture your audience’s attention and keep them reading. How do you keep your readers engaged? Since the introduction is the first thing that your readers will see, it is very important for you to craft an intro that will make them want to know more about what’s going on in your site. In some cases, shocking statistics are very effective in attracting a reader’s attention. It takes only a few seconds for your readers to decide whether they will keep reading or they will leave so, go straight to the point. With the exception of articles that have to give more information, maintain a word count of approximately 250 to 500 words per page. Anything longer may make you lose your readers. Talk to your readers just as you would speak with them face-to-face. Address them as “you.” You are less likely to connect with your audience if you use third person in your content. Avoid using jargon. Just because you understand highly technical terms, it doesn’t mean that your readers have the same knowledge level. In fact, “big words” may either bore or scare your intended audience away. Present a problem and recommend the solution. Answer the 5 W’s. Present your readers with a problem that they may encounter and recommend the solution. If you’ve mentioned some shocking statistics in your intro, you can reiterate it and then show your readers how not to be part of those statistics (e.g. children who have been injured due to inappropriate car seats). Be specific with your solution by answering the 5 W’s: Who, What, Where, When and Why. Doing so would allow your readers to locate the information that they need without having to go through a large amount of text. A 2006 study by the Nielsen Norman Group revealed that people tend to read more if content is written in an F-shaped pattern. Readers who scan information in F shape, are more likely to read in more detail. 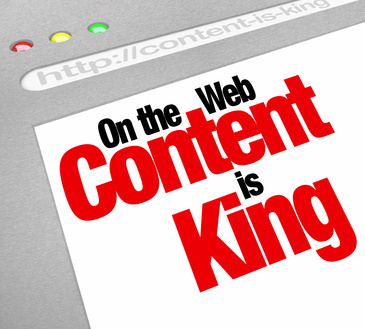 It’s important to optimise your content by including keywords wherever possible. Optimised headings, while favourable for search engines, may not be appealing to your readers. You also need to make sure that your headings are short, sharp and easy to remember. Your headings should summarise what each web page contains and should convince your readers to explore your site further. Bullet points are effective in breaking up the flow of your content and creates more white space which, in turn, makes it easier for users to take in details of the information. Everyone makes mistakes but when you do it on your website, this may cause you to lose visitors. Wrong grammar, a misspelled or missed word, and garish graphics are enough to make you look unprofessional and turn off your readers completely. Think consciously about what will make the reader want to read, and more importantly, share your content. No one can guarantee an exact formula for perfect web content but there are services available for entrepreneurs that can help bring their business to the next level. Website design companies like Complete Cloud can help you with website design and development and this website design firm can also help you create a mobile website. Contact Complete Cloud today and allow our experts to assist you with all your IT needs.